This is the classic in the classic sense. As a side it raises eyebrows. As dinner itself, it reigns supreme. From Pickford and Fairbanks to today's standard Italian dish that soothes your stomach. 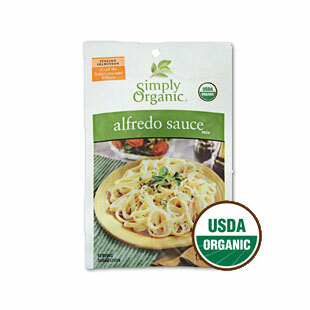 Use it for a creamy, cheesy (and instant) white sauce that's pasta-perfect. Simply Organic uses ingredients grown and processed without the use of toxic pesticides, irradiation, or genetically engineered products.